A large number of people have once again begun asking whether Pakistan is walking in the footsteps of Sri Lanka in its growing engagement with China. 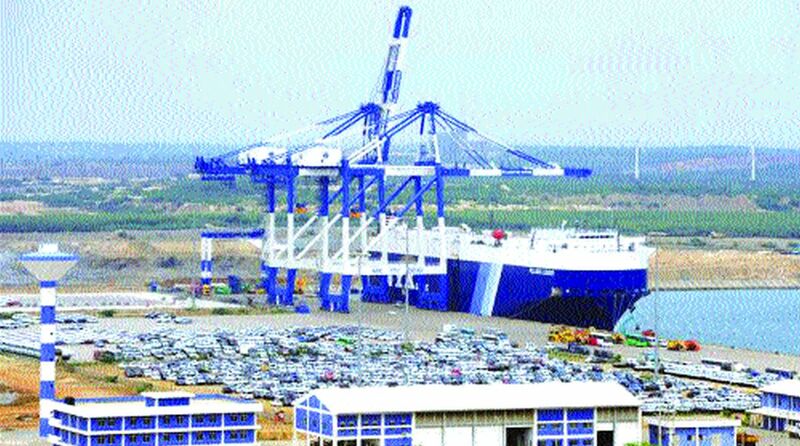 The new talk has been sparked by a long article in the New York Times that, for the first time, provides details thus far unknown about how the Hambantota Port project was conceived and executed. People have long looked upon this project, which saddled Sri Lanka with debts so large that the country was forced to go to the Chinese asking for rescheduling some of the payments. The request was granted in a deal that saw China swap equity in the project for debt, effectively taking over the port and 15,000 acres of surrounding countryside on which to build an industrial zone. In effect, Sri Lanka had to cede control over strategic territory to China in return for debt relief. So, naturally, many are now asking: might the same thing happen in Pakistan in the case of Gwadar? One of the most damning details revealed in the article relates to payments made by China Harbour, the company that built Hambantota Port in Sri Lanka, to the close associates of the president Rajapaksa who had approved and launched the project. He was ousted from power after losing an election in January 2015 to one of his own close associates. “Chinese officials and the China Harbour company went to great lengths to keep relations strong with Mr Rajapaksa” the article says. “At least $7.6 million was dispensed from China Harbour’s account at Standard Chartered Bank to affiliates of Mr Rajapaksa’s campaign,” it continues, citing a government document that the reporter has seen. Beyond this, the story is a more familiar one of a vanity project, with little to no commercial potential, launched at one to two per cent interest rates (while alternative funding was available for half a percentage point), an over-eager leader who wanted to accelerate the timeline for completion for political purposes resulting in an escalation of the debt (to 6 per cent), followed by difficulties in making repayment. Then the Sri Lankan government borrowed $1 billion from the China Development Bank to make some critical repayments, and eventually faced with a massive debt burden, had to go to the IMF for a bailout. One by-product of the IMF approach was that much of the financing details of Chinese projects had to be opened up before fund authorities, who need a detailed picture of all inflows and outflows scheduled from any economy that they are bailing out before they can commit any funds. That was in June 2016, when the new Sri Lankan government that entered after the elections in the preceding year successfully completed negotiations for a three-year Extended Fund Facility worth $1.5bn (far smaller than the ones Pakistan signs on to by the way). And only a few days ago, the first Article IV report from the Fund about the Sri Lankan economy was released, giving a glimpse into some of the financing terms that country has signed on to with the Chinese government. “Infrastructure-related FDI from China averaged about $200 million annually over 2013–17 (¼ per cent of GDP), while outstanding bilateral loans from China to Sri Lanka’s public sector, including SOEs, are estimated at about US$4.6 billion at end-2016 (5.8 per cent of GDP),” that report says in a special box dedicated to Chinese investments. A back-of-the-envelope calculation shows the enormous difference in the financials between the Chinese investment in Sri Lanka and that in Pakistan. At $46bn invested in infrastructure projects, with an exchange rate of Rs 124.5 and GDP of Rs 33.397 trillion, you get a ratio of 16.7 per cent between the quantum of Chinese investment to GDP. Compare that to 0.25 per cent per year in Sri Lanka over four years. Outstanding bilateral loans are a bit more difficult to calculate quickly, because we don’t yet know if any state-owned enterprises in Pakistan have borrowed from the Chinese, but simply based on reported figures, in the outgoing year the borrowings have been larger than $2.2bn. This is purely bilateral borrowing in one year, not the cumulative, nor does it include equity in projects or project-related assistance. In short, the numbers of the Sri Lanka story are far larger in Pakistan. Exactly how large we do not yet know, but I have a feeling we will soon enough. Add to this the fact that payment-related outflows on CPEC projects have now commenced since most of them have begun commercial operations, and the figures are set to rise further. Recall that the last IMF report saw Pakistan’s external financing requirements rising to $45bn by end of 2018, and you’ll get the idea. But those who argue that the fears are overblown have a case that should also be borne in mind. For example, Hambantota Port is not commercially viable, and was never seen as such, leading many to speculate that it had military objectives behind it. Similar speculation revolves around Gwadar, which will also be many years before it reaches commercial viability. In any event, the financial story of these projects needs closer scrutiny. Now that Pakistan is approaching a moment that Sri Lanka passed in 2015, and Malaysia passed in May, perhaps an opportunity to more publicly evaluate the financials of these projects is opening up before us. There are genuine grounds to be concerned about what exactly we have signed up for in all the CPEC projects, and those concerns deserve to be addressed in a more open manner than what the PML-N government allowed for.